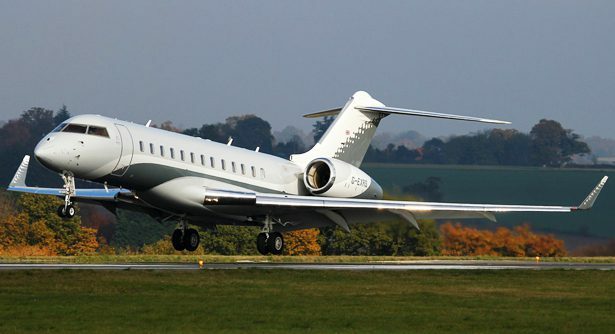 Introduced in 2003, the Global Express XRS is an upgraded version of its predecessor, the Global Express. 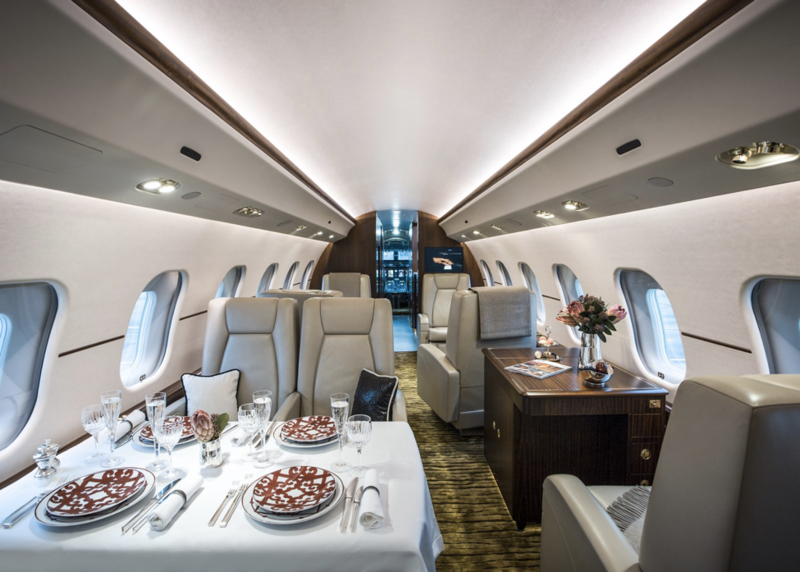 With greater range and an improved design, the Global Express XRS can seamlessly complete intercontinental flights in extraordinary style and comfort. Boasting all the qualities of the original Express, the XRS encompasses the former jet with significant improvements made to ultimately replace the original Express in 2005. Designed to perform at high speeds and high altitudes, the XRS has a high speed cruise of 499 ktas and a certified ceiling of 51,000 feet. Two Rolls-Royce turbofan engines each produce 14,750 pounds of thrust. With an increased range of 6,305 nm, this ultra-long range aircraft can travel transcontinentally and intercontinentally. The wings have been swept back 35 degrees, creating less drag and more speed. Additionally, aluminum slats on the aircraft enable it to take off and land at lower speeds. The 2,140 cubic foot cabin easily seats at least eight passengers in a luxurious cabin equipped with all the necessary amenities for long distance trips. Three living zones can be dedicated for business, dining, or relaxation. Executive style leather seats have reclining capabilities for ultimate comfort. Additionally, a total baggage capacity of 195 cubic feet is accessible both internally and externally and can easily hold all traveler’s luggage. 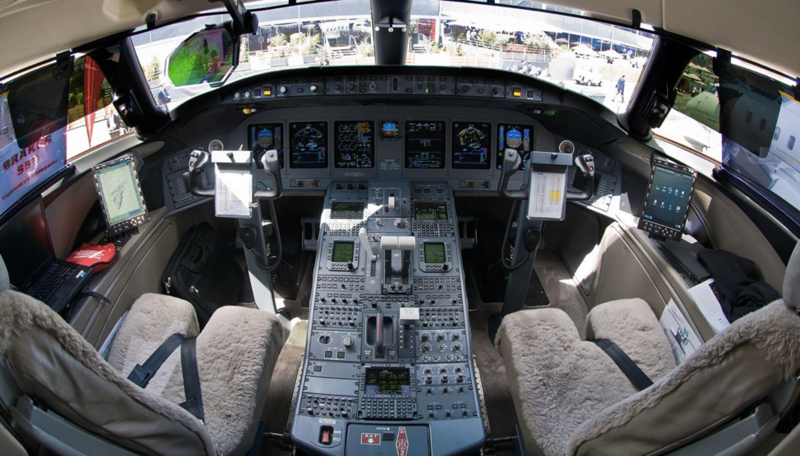 Within the avionics suite, the Honeywell Primus 2000xp includes Bombardier’s 2nd Generation Enhanced Vision System as well as Head-Up flight display system and Central Aircraft Maintenance System. 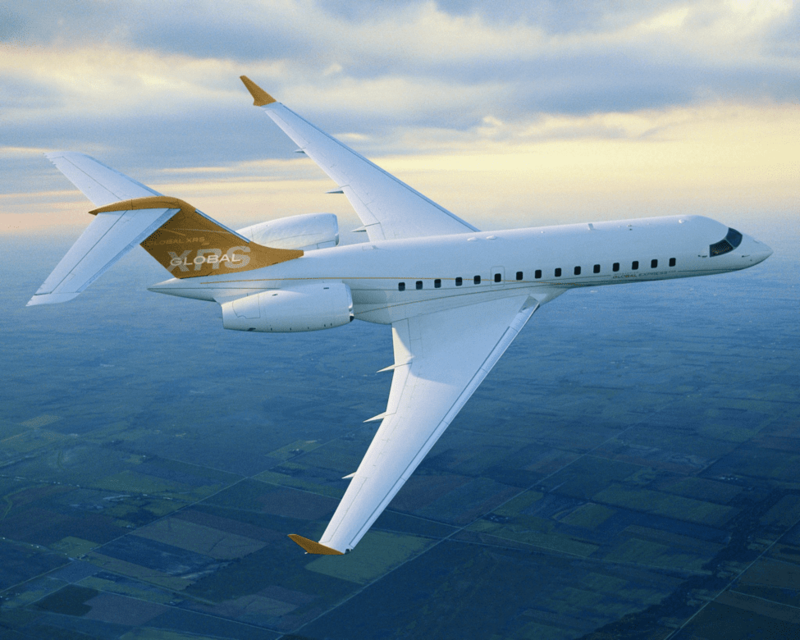 Modeled after the original Global Express, the XRS has been a highly successful jet with minimal competition in the ultra-long range category. It is priced at about $20 million.